The Rubus L. genus, commonly referred to as blackberry, contains more than 200 different species. Plants may be trailing or erect, thorned or thornless, but all varieties can be recognized by the edible fruit they produce. The berries of a blackberry plant are actually an aggregate fruit. The plants are grown commercially for their fruit, and can also be found growing wild. Blackberries are grown for their fruit, which is high in nutrients. Blackberries typically grow best in temperate climates. However, according the the United States Department of Agriculture (USDA), some type of blackberry species can be found in every one of the states. Many states grow blackberries commercially, and the United States is the world's leading producer of blackberries. The plant also grows wild in a number of areas, and is very common in midwestern and eastern states. Blackberries also grow wild in warmer southern states, however fruit is usually small and plant yield is low in comparison to plants grown in more temperate states. The leading production areas of blackberries are spread across different regions of the United States. According to the USDA, Oregon was the highest producing state in 2009. The state produced more than 50 million pounds of blackberries, valued at over $28 million. Other states that lead the United States in blackberry production are California, Texas, Arkansas, Georgia, Washington and North Carolina. Cultivars produced vary by the state and climate in which they are grown. Blackberry varieties are often classified by their growth habit. Trailing blackberries, semi erect blackberries and erect blackberries are all grown in certain parts of the United States. Trailing and semi erect types require a trellis, while most erect types do not provided they are pruned properly. 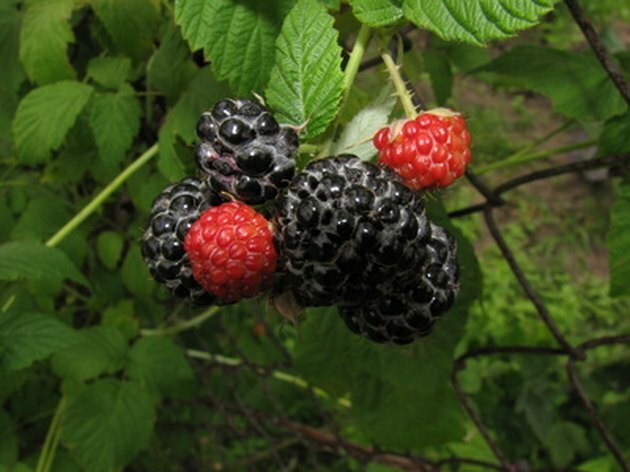 Marion is one of the most popular blackberry cultivars in the United States, and is grown extensively in Oregon for its tasty, medium to large sized fruit. Arapaho is a popular erect type, due in part to being thornless. Chester Thornless is a notable semi-erect cultivar, grown for its high fruit yields. Can You Plant Blackberries & Raspberries Together? 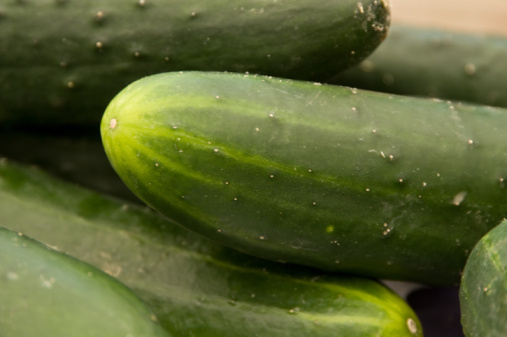 How Far Apart Should I Plant Cucumbers?